The Presidency has reacted to the election which took place in Kwara State and saw the Senate President, Bukola Saraki lose his re-election bid. According to reports, the Senate President lost his position to Yahaya Oloriegbe of the All Progressives Congress. The senatorial candidate of the APC scored 123,808 votes to defeat Saraki who scored 68, 994 votes in the four local governments of Kwara Central Senatorial District. While reacting to the result Bashir Ahmaad, the President’s aide, took to his Twitter account to congratulate Oloriegbe for defeating Saraki. 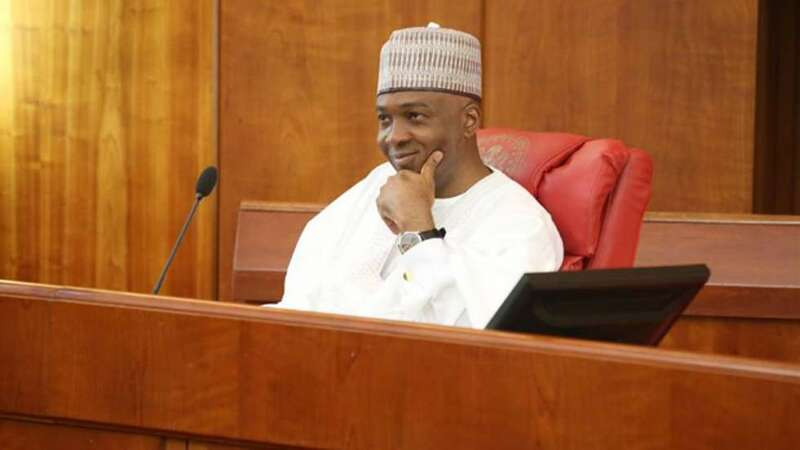 “Senate President, Sen. Bukola Saraki has lost his re-election bid to the Red Chamber to the ruling All Progressives Congress’s candidate Ibrahim Oloriegbe in all the four local councils in the senatorial district. Also speaking on APC victory at senatorial seats and results in Ekiti, Ahmaad added “APC wins 3 Senate and 6 Reps seats in Ekiti State.